I recently had a discussion with a fellow web designer about images used on a client’s site. Her client contacted her after receiving a $1400 invoice from the image’s license holder, for unauthorized use of an image. He thought that because he had found the image on Google Images that it was free for him to use. Just because it is on the internet, it doesn’t mean it’s yours. 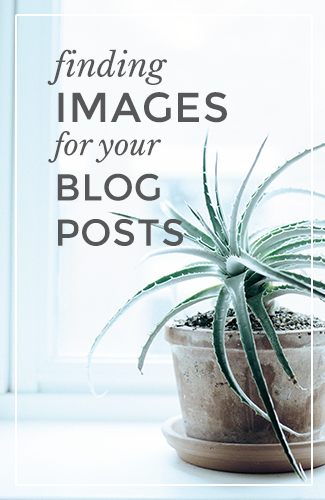 If you have a budget that allows, and you need the “perfect” shot, there are many stock photo sites where you can find and purchase images, thereby obtaining a license that allows you to use it on your site, in your logo, on your promotional material. But let’s say your budget is limited. Or that all you need is a photo for a blog post. Where do you find high quality, hi-resolution images that fit your content and don’t look awful? What are your options for free photos? Below you will find several sites worth bookmarking. I have highlighted some of the options to be especially aware of as you search. (click on images to enlarge) Always be certain that you read any license information. As my fellow designer mentioned, “Ignorance is not an excuse for theft” in the eyes of the license holder. 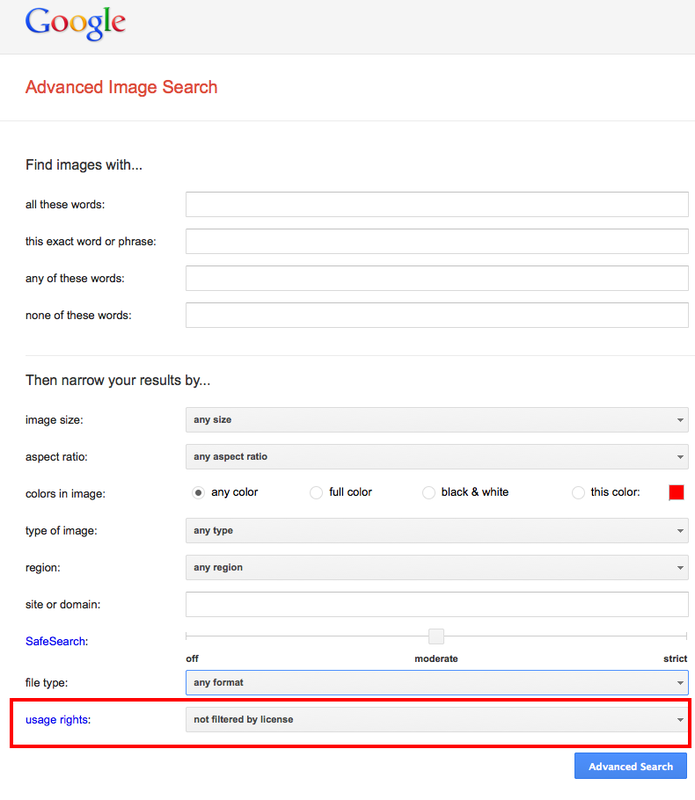 Check “Usage Rights” on the Advanced Image Search to filter your images. Flickr’s Creative Commons Image Search: Flickr is filled with amazingly stunning photos from photographers around the world. Just about any and every keyword is covered. But be sure to check the license. 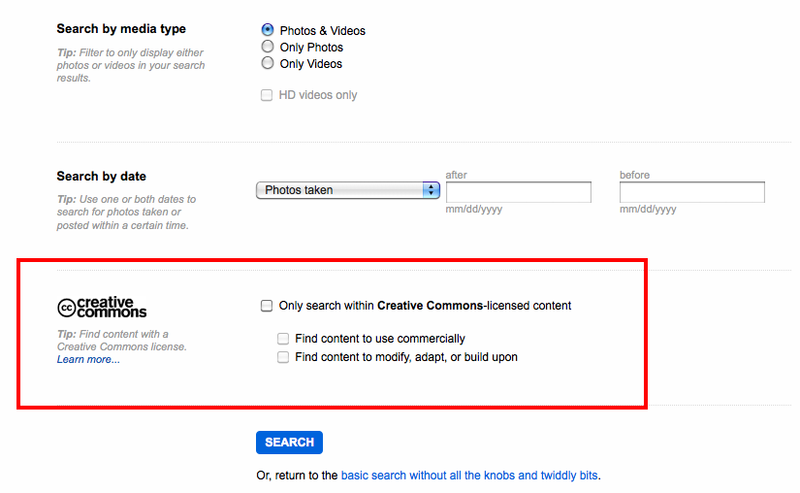 To do so: Go to “advanced search”, scroll to the bottom of the page and search within the creative commons content. 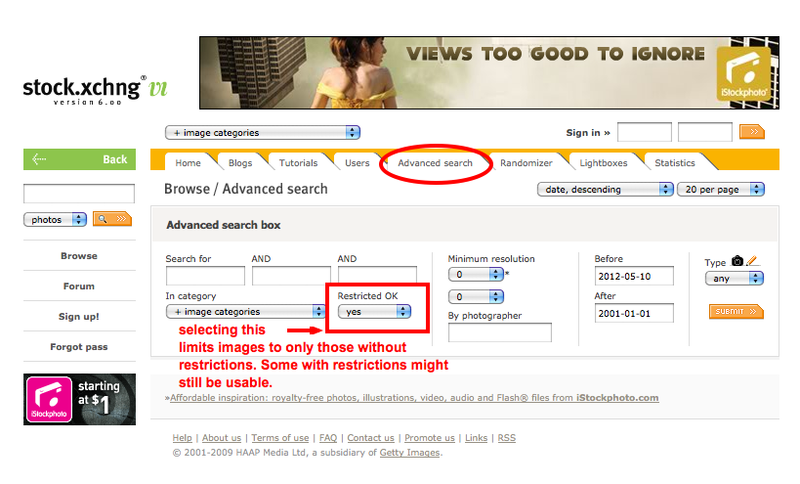 You will still need to check the requirements that each user stipulates for their photos. Some allow a simple attribution, others still require that you ask for permission. EveryStockPhoto.com: A search engine for free images from various sources. As always, check the license for each photo. Stock.xchng: Owned by Getty Images, this site contains over 350,000 free images. 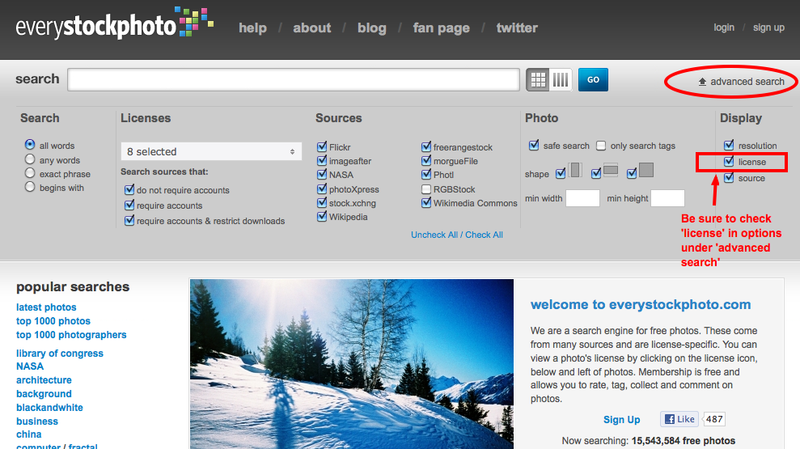 Your search will also show premium photos from other sources. As you search, be aware of the restriction information presented in the Download / Image Use Related Questions section of the FAQ page. 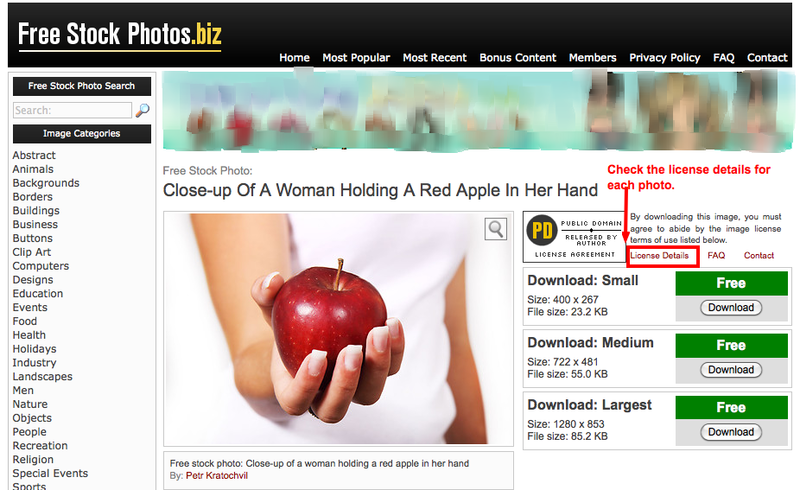 FreeStockPhotos.biz: Over 16,000 “free images available in a variety of commercial and editorial licenses, including public domain, creative commons, and custom agreements.” Check the FAQ page for usage information and check the ‘license details’ link on each photo. All of the sites listed above have different license details, but all of them are excellent resources. As always, be aware of the usage rights and restrictions, educate yourself and you won’t have to worry about receiving a surprise $1400 invoice. as they should! I think most have seen the internet as the wild wild west, but just like it, they are starting to try and bring order to it! Great post and a much-needed one! When you are assembling the images to use on your web site, you should be aware that if you have used an unauthorised image and you receive a huge bill for it from an image library, it is not your web designer’s fault and they are not liable for the bill. Web designers work on the good faith – as well as contract clauses – which states that you have the legal rights to use the images and text which you have given your web designer for use on the site. If, as is in the example you gave, you did not have the legal rights after all, the web designer is not liable. They used your image on the good faith you provided it with. Excellent points, Heather! There are so many things like this that site owners do not consider.